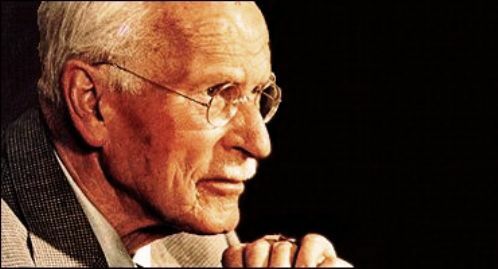 Jung believed that a main aim of human life is the integration of the various parts of ourselves, the achievement of wholeness. One part of ourselves which is often hidden from us and can’t, until we acknowledge it, become integrated is our Shadow. Here are stored weaknesses, frailties and drives of which we are for the most part oblivious. Mainly because we’re not aware of them, they can influence our behaviour without us wanting it. One of the ways they do this Jung calls projection. We see in others characteristics they may not have – failings, longings, ways of behaving, that aren’t, or are only partly, there in them. We are allocating to them those of our own characteristics which are hidden from us in our Shadow. We don’t therefore see others clearly – we see them through the lens of our Shadow. As we become more aware of our Shadow and integrate that knowledge into our lives, we become less likely to project characteristics onto others. We come to see them as they are, not through a lens. What Jung may have meant – Only what is really oneself has the power to heal – is that it’s only as we achieve wholeness for ourselves, that we’re able to really see others and it’s only when we really see others that we can begin to support them in their search for that same wholeness and healing.